Home / India / Latest Post / Public Interest / Startup India – How Fair Is The Game? 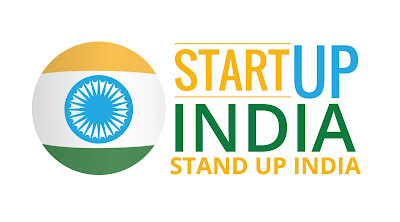 Startup India – How Fair Is The Game? During his 2015 Independence Day speech from Red Fort Narendra Modi pushed through his plans for something called ‘Startup India’. As per his own words from that speech, his idea of SI was – This initiative is mainly focused on to restrict role of States in policy domain and to get rid of "License Raj" and hindrances like in land permissions, foreign investment proposal, environmental clearances. Now this line itself is a giveaway that the said initiative would have its secondary list of action items as well. Though the idea wasn’t clearly spelt out, his initial speech was good enough for many upcoming startups to drool to their death. Immediate conclusion that was deduced was – the government of the day is interested in helping the startups in many ways to get established; primary of being the financial patronage that most startups badly need. Almost all who were in the business of startups thought it to be an open invitation to come and get funded. No questions asked and no accountability outlined. Was this a convenient one side reading of the idea and the initiative? Has the idea been blurred, right at the source, for such confusion and expectations to creep in? Let’s see. I have a friend from my engineering days, who is a friend of a person who was doing his research on an idea revolving around automobiles for quite some time. He finally was successful with his research work and the same got well acclaimed, both at national and international level. He also won few national and international awards for his innovation. He got his patent as well. Now the journey of a startup must not end at the successful invention. It has to go till the point where the efforts are cashed upon through some means of business model. Now from here, the role of my friend comes into picture. The innovator, along with my friend and few others formed a company and planned to mass produce their innovation for public use. Here the SI announcement of the PM came as a blessing. Like most, the idea of my friend and his team was to sail through it easily and get that much needed moolah to kick start their production line. One year down-the-line and after the proverbial running from pillar-to-post, my friend today is one annoyed human being. He in fact has resorted to name calling. As per him, Modi’s claim of this Startup India initiative is bogus. 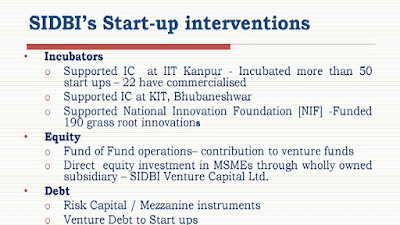 Till date, again as per him, not a single startup that seems to have been funded by this initiative. I had an argument with him in our Whats-app group that things may not be as bad as he portraits. Was it only the funding part that was annoying my friend or is there some truth to his avowals? Or was there a feel of entitlement with my friend that the GOI should have rolled out the RED carpet for them, bypassing every guideline, just because they have won few awards to their credit? To be honest, I never had any substantial proof to counter him of his dissatisfaction. But getting information in today’s world isn’t that tough anymore. A little search would settle much of your queries and I did precisely that. The first thing that struck me is the manner in which most of these startup dreamers, not just my friend, misunderstood the whole concept of SI. And I don’t blame them entirely for this. The guidelines laid out by this initiative, with all honesty, are far from being ‘Black & White’. That said it certainly isn’t at all about getting easy money from the government without any accountability. In fact the free money is nowhere in the picture. A deep reading would make it clear that the government is not in the business of banking. They shouldn’t be even. Government’s job is to stand there as an efficient felicitator and they pretty much have announced it in as many words in their action plan. The initiative largerly rounds up to as listed below. I don’t see the action items talking much about money except may be in point number 2. There even the phrase ‘Fund Of Funds’ reads little different from the word ‘Fund’ that many like my friend were salivating at. I am sure most of the budding entrepreneurs would have missed it. So here it is what the government means by this ‘Fund Of Funds’. First thing, the government will not invest in any startup. Government isn’t a venture fund and they want to remain that way. Government’s only participation would be limited to contributing to the SEBI registered venture funds. Even the management of this said fund isn’t the lookout of the government. There will be a board with private professionals drawn from industry bodies, academia, and successful Startups. This board is entirely responsible for both shortlisting and funding, not the government. LIC would be a co-investor in this fund and that too to the tune of 50%. My dear friend must be reminded here that, at least 50% of the said money is public money. For the rest 50%, private players would be encouraged to fill in. Companies like Softbank and Google have already invested through the above mentioned bracket. There is also a guideline on the amount that can be funded for a particular startup. The maximum that can be funded is limited to 50% of the project plan. The rest 50% has to be arranged by the proposers and due proof of the same need to be given to the board before applying for fund. So when my friend blasts the government’s initiative as bogus just because they are yet to be funded, it begs him to look at reasons for their failure in getting the confidence of the said board. Narendra Modi possibly isn’t the guy who is ticking beside the company names that get funded. That said the government isn’t leaving the startups to arrange their part of 50% on their own. 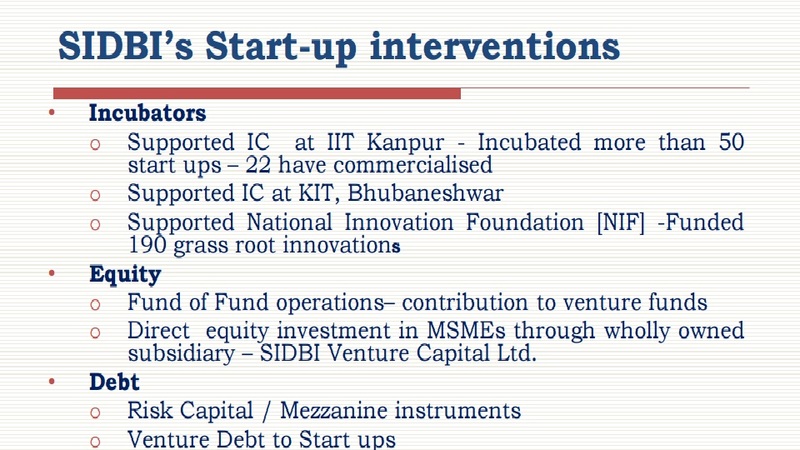 They have issued ‘Credit Guarantee Fund For Startups’, which too is part of the action plan. The idea is to encourage banks to finance the innovators. In layman’s words – the government stands by as guarantee for these startups in case of a failure. This gives a much needed comfort for the banks and other private venture funds to invest in these startups. Though the responsibility of the repayment for the loan procured remains solely with the proposer, government stands there as a fell over support. SIDBI is one such example which acts as a nodal point for fund distribution under this SI initiative. The website of SI lists SIDBI as some kind of channel partner and the picture here depicts the exact role SIDBI had played and will continue to play in this initiative. SIDBI too had its own guidelines which are separate from the guidelines laid out by SI. But the inherent notion is that, the proposals that have passed the guidelines of SI automatically cleared for the consideration of SIDBI. The caveat here with SIDBI is similar to any other financial institution. The loan still remains at the sole discretion of SDBI. If one thought to get the money for fun without being monitored or evaluation, they may have misread the idea behind the SI initiative. There never was free lunch and there never would be. So to my friend again – the fund that you claimed to have received from SIDBI is from this SI initiative, which you are too adamant to agree. The definition of a startup was also made very simple through this initiative. The flowchart here describes how the whole system works quite efficiently. Though most of the blocks here are self-explanatory, the ‘Block D’ should be much of an interest for all those startup aspirants. It should be commercially viable, it mentions. The commercial viability should be a leaf in your presentation to the funding board. If some award makes you believe your presentation would be taken on its face value without being pondered upon then it is a different thing but things doesn’t work that way. The board on its own wisdom would study the market viability of the proposal and then decide on their conclusion. A simple search would show, more than 80% of the proposals that are been rejected are because the board felt the idea, though good, is simply not commercially viable. And I am sure; awards not necessarily authenticate the business practicability of the idea. For an innovator his/her idea still remains the best, both uniqueness wise as well as business wise but that is not what the board is supposed to agree on. They have their own way of evaluating and looking at the panel, I am sure, their expertise and experience can easily be banked upon to come to the correct conclusion on any given day. After all people like Anand Mahindra can’t be too wrong with their assessment of the business sustainability of a particular idea. The core notion here is that the government is here to invest and encourage startups, not to waste public money for fun, which many startup aspirants, along with my friend, thought to be. So to everyone who is ranting against the government on this – either your idea is not commercially viable or you haven’t presented your case as it should have been. Little point in conceiving the idea that the mere mention of startup would result in people lining up at your doorstep to give you money and that too public money. It has never worked that way and it never will. There is no entitlement here and the least that counts here is how many awards you have won. The median for prize distribution and the median for VC funding are entirely two different things with no correlation whatsoever. Didn’t get the money at the first attempt? Stop whining and start preparing for a better presentation. And by the way, let me reiterate – there is no free lunch and of course the government is the last one to give that.